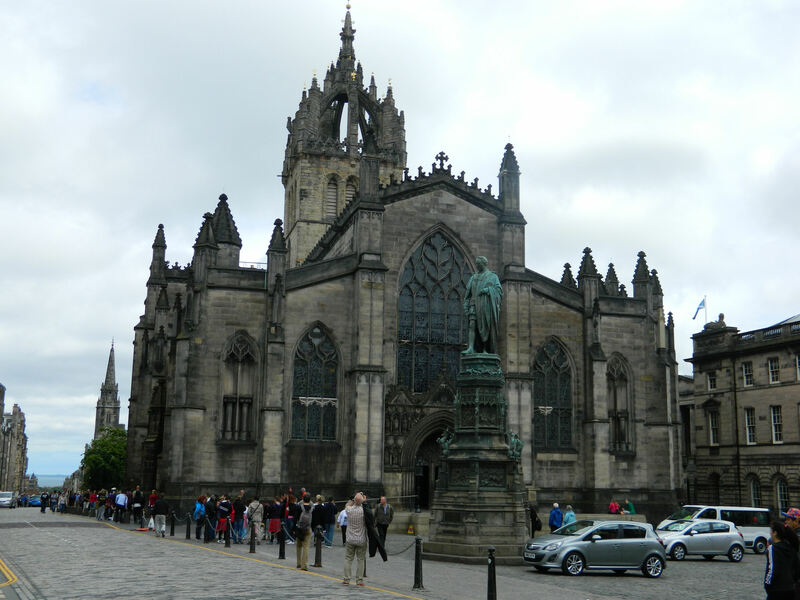 Although every European city has its shares of very old and majestic, stately, and even quirky cathedrals, two in Edinburgh especially warmed my heart and made me smile. 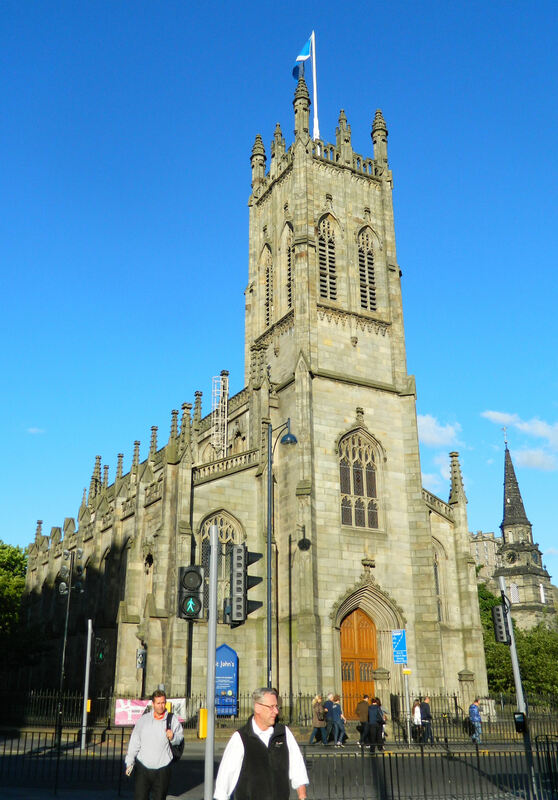 St. Giles is one of the most well-known of the city’s religious structures, as this iconic building stands proudly on the Royal Mile – right in the middle of the bustling tourist square. 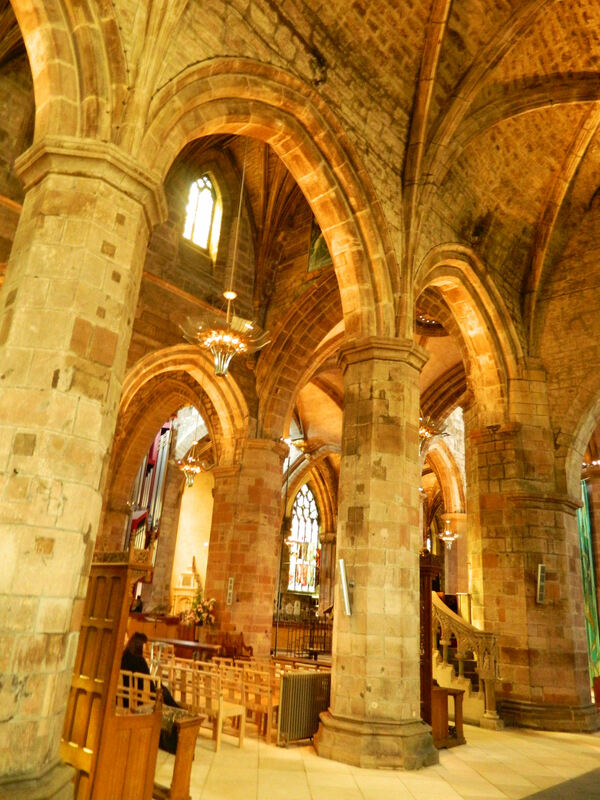 The medieval cathedral, which is also known as “the High Kirk of Edinburgh,” was built in the late 14th century but had extensive restoration in the 19th century. And its traditional crown steeple can be seen from all over the city. 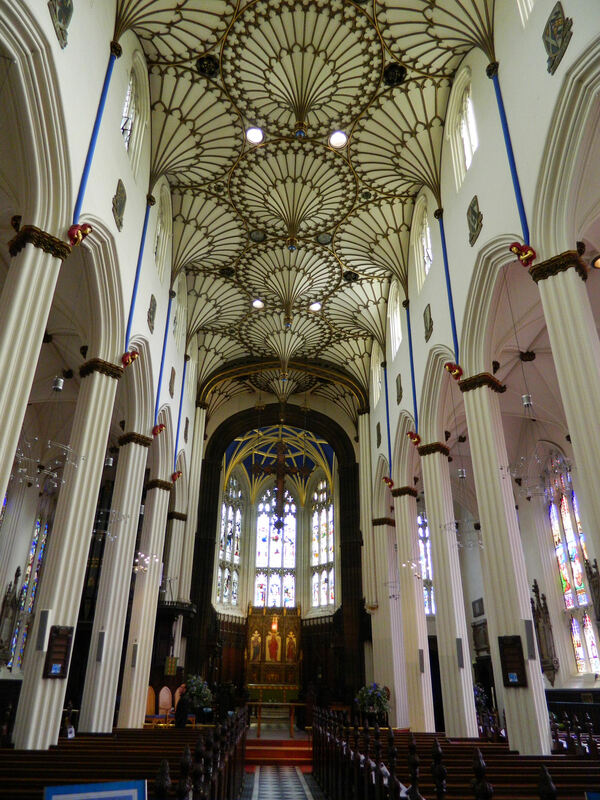 But I especially enjoyed walking around the cavernous interior areas with its high arched ceilings, old stonework, and collection of stained glass windows – most of which were created in the late 1800s. A smaller but also impressive site is St. John’s Episcopal church. (Okay, not technically a cathedral but I’m including it here anyway!) I passed this pretty place, which is located on Princes Street, almost every day on my way to my convention and was pleasantly surprised when I decided one morning to duck inside. I was happy to slip into the relaxing and cool interiors of both religious structures during warm days and enjoy the peaceful settings along with the other tourists and parishioners. I always love exploring old, historic buildings — but it’s a nice bonus when they’re also quite beautiful. magnificent pictures of the cathedrals (and church). It is so amazing to see structures so old and still so beautiful. Agreed! And so many times, the interiors hold such lovely surprises. Awe inspiring and the old churches are reflected in current Presbyterian church architecture and design. Great photographs, by the way. Thanks! And interesting tie in to current design. Cool!